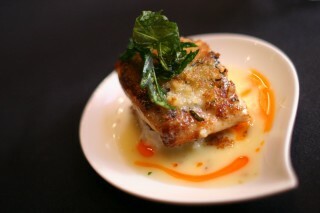 WEB EXCLUSIVE: Get ready for Dishcrawl! If you’re a hard-core foodie, you may have heard of the popular start-up that’s been captivating food lovers all around North America. Here’s how it works: each month, a group of foodies and bloggers gather and make their way to four local restaurants – all in one night. They get to experience four or more courses and interact with the chefs and owners of the restaurants – and most importantly, with each other. Ottawa Mag chats with Caitlin Carrol, who’s bringing this food phenomenon to the nation’s capital. What drew you to get involved with Dishcrawl? While planning a weekend trip to Montreal I was looking for events and other fun things to get up to while there, when I came across Dishcrawl.com. As it happened there was a Chocolate Indulgence event on Saturday, February 15, that promised six courses of chocolate dessert in one afternoon. I pride myself on the amount of chocolate and sweets I can consume and knew I was up to the six-course challenge. It was absolutely wonderful; relaxed, social, delicious, decadent, fun, interesting, and exciting. I came away from the two hour chocolate adventure on a sugar high I had never experienced before, it was pure ecstasy, and I made some great new friends too. On my way out I stopped to thank Marcella, the Dishcrawl Montreal organizer. I told her that the event blew my mind and that the Dishcrawl concept is absolutely fabulous. I begged her to tell me when it would be coming to Ottawa. Her face lit up! You are from Ottawa!?! Well we need to talk! She gave me her email and the rest is history. 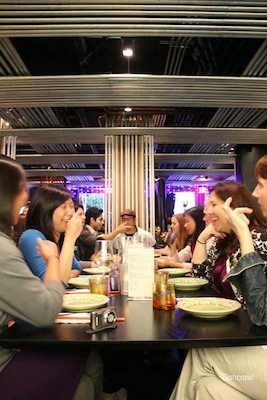 I have a background in event coordination, am a self-proclaimed foodie, and also consider myself to be culinarily inclined (I have a food blog www.culinarilyinclined.com) so working with Dishcrawl was not only a perfect fit but also my dream job! Why do you think Dishcrawl will be a good fit for Ottawa? Ottawa has some wonderful food and amazing talent. There are a lot of people who don’t know what is out there and eating out in the name of finding good food can get quite expensive. Dishcrawl is all about helping people discover their local restaurants and the delicious food that they create. Eating at four restaurants in one night is a fantastic way to try new restaurants and foods you might not have ever ordered. Food and good company is always a winning combination, but when you pair that with getting people out on an off night to meet and support local restaurants it is a win win for everyone involved. What foods come to mind when you think of the nation’s capital? That’s tough! That’s like asking what your favourite food is or your favourite song. It depends on the day and perhaps even the season. In the summer on a hot afternoon I might think about gelato or a cold drink and some apps on a patio in the ByWard Market. In the evenings I might think about wandering around the Elgin, Westboro, or Little Italy searching for something that strikes my fancy, because in those neighbourhoods something is bound to. When it comes to Ottawa I don’t necessarily think about specific foods, I think about areas of the city that have their own little food communities and how I love so many restaurants in all of them and also how I have so many more to try. I think most of Ottawa can relate to that idea. Can you give us a hint of at least one restaurant that will be featured in the first-ever Ottawa Dischcrawl? I wish I could tell you, I am absolutely certain that if I was to tell Ottawa what restaurants are on the June 7th crawl it would sell out in one day! They are fabulous and I am so lucky to be working with them. The entire event is going to be a foodie’s dream. I suppose I could give you one little hint; I may or may not have derived a little inspiration from the Ottawa Magazine’s City Bites food blog. How frequently will they occur? Dishcrawls will be held monthly starting in June. The options seem endless when it comes to themes, neighbourhoods, and restaurants to feature so I have a feeling that some months might end up having two. With summer upon us and the Dishcrawl buzz in the air this concept is going to take off in the weeks to come and we will be holding events to satisfy the appetites of Dishcrawlers and restaurants alike. What do you hope foodies take out of the event? I hope that foodies come away from the Dishcrawl with a heightened sense of their food community. I hope to convert a few people into full-fledged foodies. I want Dishcrawlers to meet owners and chefs and through that feel connected to the local restaurants and the food they serve. I also hope that, other than experiencing some amazing food, the crawlers get to know a little bit more about their neighbours. Finally, I hope that they like Dishcrawl as much as I do and come back and crawl with us every month. Ottawa’s first-ever Dishcrawl is taking place on Tuesday, June 7. 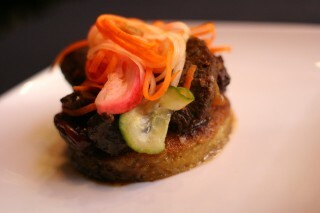 Tickets have just sold out, but you can keep tabs on this exciting series through www.dishcrawl.com.